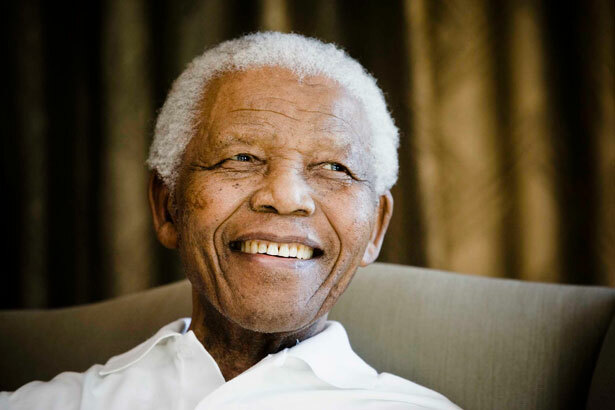 To fully grasp the meaning of Nelson Mandela’s death at the age of 95, imagine for a moment that his life turned out differently. What if he’d perished as a child, like so many youngsters of his generation, in the rural backwaters of the Transkei? Think of what might have happened—or not happened—if he’d died in the mines of the City of Gold, where he arrived as a young man after running away from his village. He was not shot in the back, like demonstrators at Sharpeville in 1960, or gunned down like young protesters in Soweto during the June 1976 uprising. Though he believed in armed struggle, Mandela escaped the fate of so many of his comrades who were killed in the bush, blown to pieces by letter bombs sent by the authorities or hanged for treason, which seemed the likely result when sentence was pronounced on him after a long trial in 1964. Mandela wasn’t forced into exile, like so many others, and did not have his spirit broken by decades of imprisonment. He managed to survive tuberculosis and prostate cancer, outliving nearly all of the closest friends of his generation. Though it was once illegal to publish his photograph or quote him by name in South Africa, his image was picked as the rallying symbol of a global campaign against apartheid. It was only natural and just, then, that when Mandela emerged from prison in 1990, he felt such a powerful sense of obligation to the fallen. It would be a shame if, in celebrating the remarkable arc of his life, we neglected to mention millions of others not lucky enough to become—as he did—an exception to the old rules. Mandela also survived long enough to witness the first stages of revisionist history, which meant having to face up to the myriad ways the early hopes for radical transformation ran aground. After all, when democracy arrived in South Africa, advanced global capitalism and AIDS also swept through the door. High rates of unemployment and rising inequality coincided with massive loss of life that, in turn, conspired against the airy dream of establishing a nonracial, antisexist, nonhomophobic and more egalitarian society. Time has exposed Mandela’s failings. In office, he was slow to respond to the rise of HIV/AIDS. He protected cronies accused of corruption. He subjected himself to the ANC’s policies of “collective leadership” and, after stepping down as president, supported two flawed successors, tarnishing his image in the process. In the last decade, quarrels with old comrades spilled the details of dodgy financial arrangements. Even here, though, there was a kind of backhanded tribute: these facts emerged into public view. That, too, was part of Mandela’s legacy, because despite a deep reservoir of popular affection for Madiba, as he’s known, he never allowed the kind of cult of personality upon which so many other liberation struggles have foundered. Mandela’s personal troubles, like the failures of his party, were part of the public record, revealed by a free press. Mandela’s way of dying also embodied an important lesson. Eight years ago, he began a long, slow fade from public life. “Everybody dies,” he said repeatedly. In his soft-spoken, teasing way, he did his best to take the sting out. After he stepped down as president in 1999, rumors of his death led to fearmongering, particularly among right-wing whites, about incipient violence. By 2013, these were the views of a vanishing few. The last time I saw Mandela was at his home after the World Cup, three years ago. He greeted my son and me with a well-worn line: “It’s nice that young people still come around to see an old man, even though he has nothing new to say.” He loved little jokes, but this one revealed a deeper intention, I think: to signal that it was time for young South Africans to step up.